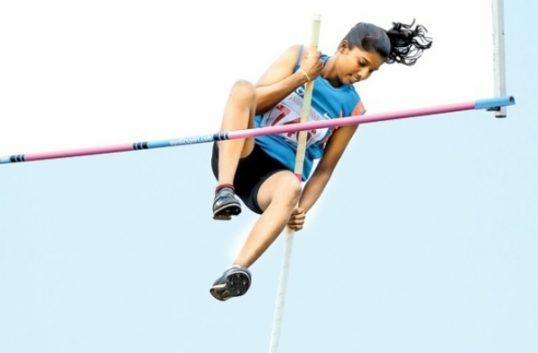 Anitha Jegatheeswaran representing Jaffna Schools Athletic Association jumped to 3.40M in the Pole Vault (Women) event of the 96th National Athletics Championship that is being held in the Sugathadasa Stadium. It was notable that Army’s Sachchini Perera also jumped 3.40 M To share the 1st place with Anitha. However, Anitha who had broken the National Record, 5 times in the event, within the last one year, was unable to perform as expected due to her knee injury and failed qualify for Asian Games.